OWASSO, Okla. — The Owasso community is mourning the loss of one of their own after a car accident Wednesday on a Rogers County road. The driver was a 16-year-old girl who died at the scene. Her 15-year-old sister and friend are still in the hospital as of Thursday night. Many in the community lifted the families up in prayer, letting them know they are not alone. "Everybody has kids around here and it could have been anyone of our children," said Tiffany Bell, an Owasso resident. Bell has four children who’ve gone to Owasso Public Schools and says during tragic times like these - everyone bans together. Bell works at Waterstone Cleaners, just one of the businesses in town collecting money for the families. "Just by us coming together and helping, I know if anything happened to any of us, somebody would be there for us," Bell said. All three of the girls involved in the accident are students at Owasso High School. Superintendent Dr. Amy Fichtner said it’s been difficult for everyone, but their main goal has been to comfort one another. "I saw students when I was there this morning, comforting other students," Fichtner said. "I saw students patting their teachers on the back." Counselors were at the high school all day if students needed to talk. "It’s very important that young people when they’re grieving, to feel valued," Fichtner said. 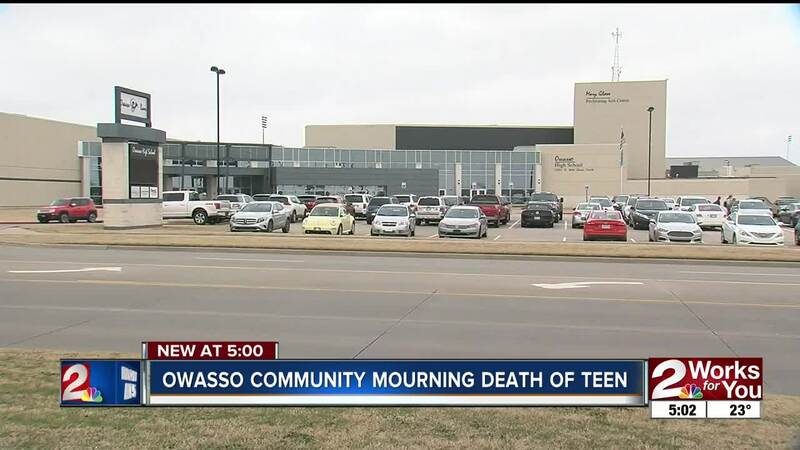 "They’re processing a lot as 14 and 18-years-old, for some, this is the first time they grieved and for someone to be so close to them, that’s overwhelming." Fichtner said in the four years she’s been there, Owasso has proven to be a strong community. "If you’re in a community then you’re always helping one another and that’s just the way it goes," Bell said. Bell said businesses are collecting cash donations as well as gas and restaurant gift cards to be given to the families. For a list of businesses, click here .